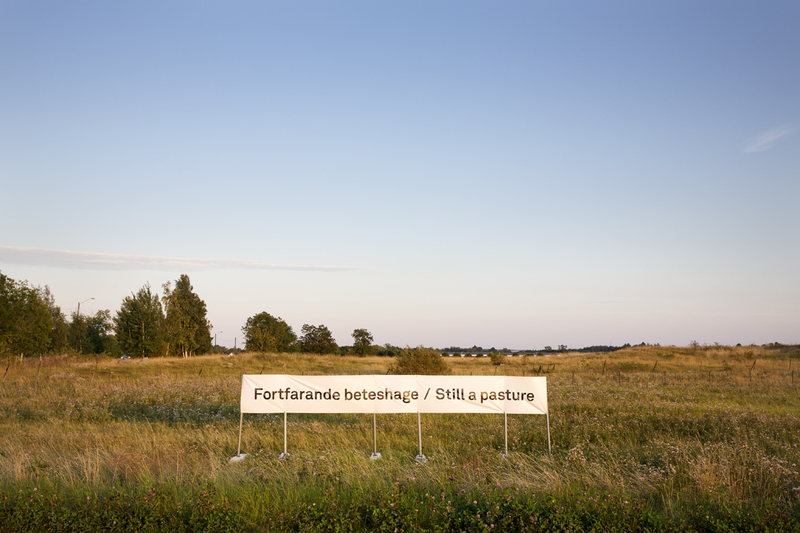 Public commission, site-specific and temporary installation. Organic textile banners on metal constructions. 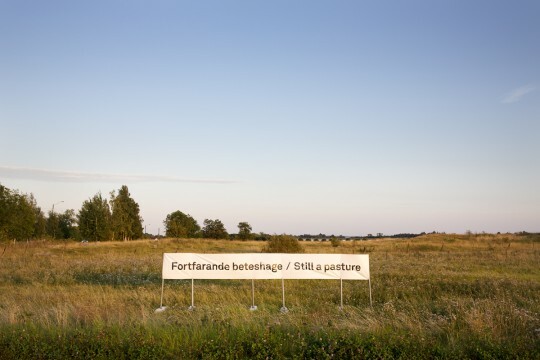 Postcards from Gränby was a site-specific, temoporary installation commissioned by Uppsala municipality in Sweden. 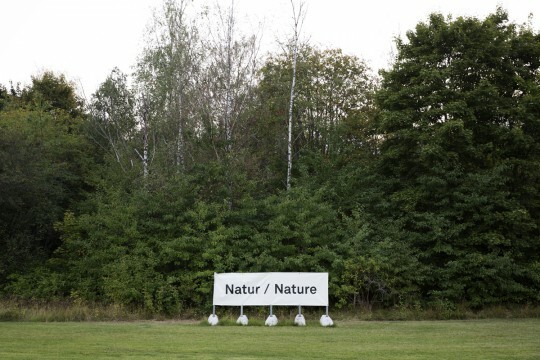 The work consisted in five signs placed in the nature surrounding a big shopping mall. Just next to the shopping mall are fields and pastures and one of Swedens oldest churches. The area is undergoing great change – there are plans for a new residential area, an arena and more. 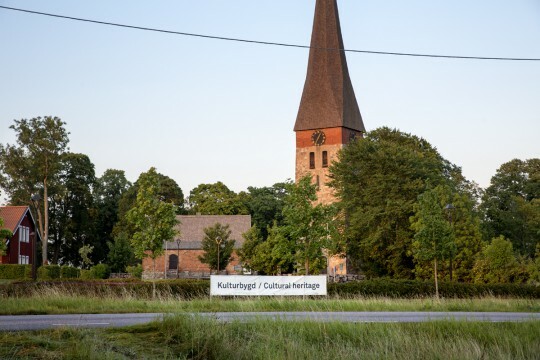 Postcards from Gränby is produced with support from Uppsala Municipality and is part of the Uppsala Municipality Art Collection.